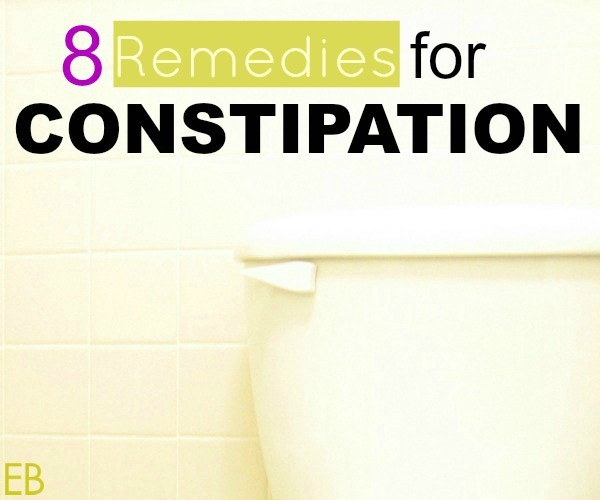 Is constipation a problem for you or someone you love? It’s a common symptom, especially among Americans. Many are struggling with compromised gut health. The colon is the final length of the gut where imperfections will often make themselves known. While most reach for various fibers and medications, I’d like to share with you alternatives that I’ve been studying for years, solutions that address the cause and that are more effective than the usual protocol. I’ve personally had a myriad of gut problems, including constipation. My youngest child and my husband have also had bouts of constipation. I’ve searched for solutions, having real guinea pigs, so to speak, on whom to trial natural treatments. During my gut-healing journey I have worked with some excellent practitioners, a few of whom have contributed to my knowledge in this arena. I’ve waited a long time to write this post, until I had a full quiver to share with you. However, this post is not intended to be exhaustive. If you have an experience or a doctor’s insights that you’d like to contribute below in the Comments section I certainly welcome that. The goal is to be helpful and to offer hard to find information. Those of you who struggle with this problem, or have in the past, you will know what I mean when I say, pooping is a great feeling! Aw, to poop freely. It’s so funny, but so true. There is nothing, just nothing, like your body working and performing this function properly. I invite you to read on and may you experience the healing I have. There are various solutions and approaches! What works for you will depend partially on how badly entrenched your problem is. If you have had constipation for years, your solution may be multi-fold, and take longer to solve, as you implement one remedy at a time and watch for results. For you, motility may be an issue. For someone who has struggled with constipation for a lesser period of time, and for most kids, the solution may be much simpler. Most people will need to implement more than one change listed below. Some of the solutions take more effort than others. I am NOT going to tell you to eat prunes. It’s not that easy. But these solutions do work, and for most people prunes do not! So take a deep breath and be willing to do a little work. It’s worth it to achieve this level of wellness. By the way, this is a long post. No apologies: there’s a lot to share. This post is not for the casual reader. It’s for those who need details! I have written on this topic before and can’t emphasize enough its importance. If there is one food group in your diet that your body can’t digest well, it may be sabotaging your entire digestive process. Find this food; eliminate it; and voila! The gateway opens up and your intestines and colon begin performing as they are supposed to! It’s that easy. To find out your primary and secondary food intolerances, you need to order the evaluation in the mail- $150. I do not benefit financially, or in any other way, if you choose this route. But I SO hope you’ll make this choice. It has made a HUGE difference in my wellness journey, with the surprise benefit of my bowels becoming perfect! This doctor can do the evaluation through the mail. Call and request a food evaluation, if you’re interested. Here’s more information on the food evaluation in general. Having the right balance of certain vitamins and minerals is key for the body to function properly. We need vitamins and minerals with their co-factors. Here are the ones I’ve found to directly correlate with the body’s ability to expel toxins through the gut: D3, K2, Magnesium, a B-complex, and trace soil minerals. Many sources recommend magnesium to be applied topically via a spray, for assimilation to occur. Here’s my favorite brand, which lasts for a long time. I spray it on thin-skinned areas morning and evening: upper chest, belly, calves (for those with Restless Leg Syndrome), inner thighs. This brand is not sticky. However, thyroid expert Dr. Izabella Wentz Pharm.D., FASCP recommends internal/oral magnesium capsules when constipation is present, and I have found this brand, that she recommends, to work well. 1-4 capsules can be used, starting with less (taken before bed) and increasing the dosage as needed. A good B-complex, one that contains folate, not folic acid, helps the body to detoxify properly. Choline, specifically, is part of the B vitamin family and has been linked to motility. (Egg yolks also contain choline.) Overall healing and wellness are supported through B vitamins. Hypothyroidism is a frequent cause of constipation. Discuss with your doctor not only the supplementation of selenium, magnesium, zinc and copper, but also iodine (which is controversial, but has helped me tremendously). Eliminating wheat is recommended, as well as soy. Thyroid and adrenal supplements have been key to my wellness, also great supplements to discuss with your practitioner. While probiotics and their benefits have been well-touted, prebiotics are just beginning to get the publicity they deserve. It’s great to supplement with living flora; but what does the flora, being a living entity, require for proliferation? Do probiotics eat? There are foods in the human diet that contain prebiotics. Resistant starch is a prebiotic which feeds the good flora in our bodies, promoting a healthier digestive tract. Resistant starch is easy to include in one’s diet and directly affects the colon’s motility! By adding in a daily dose or two of resistant starch, you may notice an immediate difference in your bowels! Read more about which foods contain resistant starch, and find recipes, here. Consuming sources of resistant starch on a daily basis took me from having pretty good daily bowel movements to having great and ideal ones. I love this easy remedy and hope you’ll try it (in addition to other dietary changes). Add cysteine and glycine to your diet to heal your gut lining. This supplement is just aloe in a small gelatin capsule. The first time I used this supplement I thought I had food poisoning. I took one pill in the morning and by evening I started having intestinal spasms of sorts. I got sweaty, sat on the toilet and waited. Eventually the flood gates opened and I felt totally better, all cleaned out. This dramatic process was uncomfortable because I was backed up. I continued to use the product, timing it to when it was the most convenient to have a bowel movement. I’d take one pill at night to go in the morning. The intestinal discomfort still occurred but MUCH more mildly, just a wave of discomfort and then I’d go. For those who need relief and aren’t ready to implement the ideas listed above, this pill works! And it’s natural. But it’s not solving the cause of the problem, which is why it should be a temporary fix. We have used this method liberally in our home. But I have yet to meet anyone whose problem is solved by using enemas. Again, in my experience this solution is temporary. My husband did nightly coffee enemas for many months; and while they gave him relief, they did not give insight into the cause of his constipation or solve the problem. He was dependent on the process. The primary solutions listed above are needed to get at the root of the issue. I do believe having an enema kit in one’s home is an excellent idea. It helped us to avoid appendicitis and it’s an excellent tool for circumventing illness or expediting the healing process. If used for too long enemas disturb the equilibrium of gut flora. Adding probiotics to enema water helps to restore flora to the region. Always be sure to clean your enema bag and tubes well with hydrogen peroxide or bleach. This is necessary to avoid mold. Eat a diet high in (grass-fed) animal fats. Bile is produced when fat is eaten; and bile has a laxative effect. Adding fiber to a high-fat diet can be helpful for some. Pathogen overgrowth can cause alternating constipation and diarrhea. If you suspect gut dysbiosis consider herbal treatments to regain gut flora balance. Vitamin A is also important. This can be gained from cod liver oil or organ meats. Grass-fed liver pills are an easy option, for those who find these foods intolerable. Dandelion root and leaves are also excellent sources of Vitamin A and dandelion has laxative effects. Vitamin C is often helpful. Start with up to 4 grams; and taper down to 1 gram daily. Taurine can be helpful- 500 mg. for children and up to 4000 mg. for adults, spaced throughout the day. Taurine, an amino acid, is a major component of bile. Have these suggestions been helpful? I’d love to hear your results if you try them. I have not heard of the hydrotherapy – the instructions look so simple – I love it! These are all such great suggestions to try – will be pinning this to keep on hand! Thank you! After trying pretty much every cure known to man (what you eat is paramount but still didn’t do the trick) I finally stumbled upon Golden Paste, this is whole Turmeric powder gently simmered with water and then mixed with coconut oil and freshly cracked black pepper. I take it in a drink twice a day and constipation is a thing of the past. Google Turmeric life for the instructions or check out Turmeric user group on FB, as just adding Turmeric or eating the rhizome won’t work very well. Wonderful!!! I’m so glad you shared. Thank you! So happy for you!! Vitamin and Mineral supplement is the best I can agree with this remedies as I have been taking a supplement also in relieving this constipation. This supplement was called Digestic by Mimonis which has a lot to relieve for but constipation is the number one. It has proven effective by almost my family member who did suffer from constipation. Thank you so much for sharing this helpful info! So many great suggestions. I love that you talk about getting to the route cause of it, remedies that can help and also ideas for when something is needed fast – short term solutions. Pinned and sharing. Thank you, Emily! I’m so glad this is helpful. Great ideas. I know people don’t like to talk about it but it’s such a common problem, especially with the SAD. Sharing! Thanks so much for this Megan. I’m not constipated (I go every single day) but my stools are not soft enough. A month or so after my son was born 4 years ago, I was extremely constipated and it ended up with painful fissures and hemorrhoids. I healed them but a month ago my fissure opened back up and I’ve been in extreme pain since then. Do you think following these protocols will help soften the stool? Right now I’m taking psyllium husk (Metamucil) and drinking a lot of water but I’m wondering if these would be better. Also, my daughter was born in November and I had to go on antibiotics twice since then. The fissure re-tore 2 weeks after my second round of antibiotics. I’m wondering if there is something wrong with my gut flora which caused the hard stool? Dealing with this over the past month has seriously made my quality of life go down since I’m usually I’m usually immobilized from the pain for many hours after a bowel movement. I have 2 young kids I need to take care of and I can’t afford to be in pain so much. Any insight would be so incredibly helpful and be extremely grateful for. Hi Loriel, I’m so glad you wrote. It’s great to hear an update on your life!! I’m sorry for your recent pain and struggles!! My first thought is just to do one thing, to see if it makes enough of a difference: add in resistant starch. You may have read the post I wrote on that (http://eatbeautiful.net/2014/12/22/what-are-resistant-starches-and-who-should-be-eating-which-ones/). That one step softened my stools when I had that same issue. That post gives several examples of different RS foods; so you could see which one(s) sounds the easiest with your life. I can’t believe what a difference RS foods have made for me. I never go a day without them, because they help that much- yes, at making the poops the texture they’re supposed to be. I really like using cassava flour in pancakes, because I can just throw the flour in the blender with some eggs and some fat and get a high protein pancake breakfast, without much measuring. But if you go that route, the pancakes have to cool so the RS forms. Also easy would be leftover cold white rice (cooked in bone broth if you want) or cooked and cooled potatoes; both can be reheated and retain their RS. You may get immediate results with this trial. The food evaluation with Dr. Zeff is invaluable, too, as is D3, K2 and the liquid soil minerals. If you need to poop NOW, while you’re adding things and seeing what works, you could certainly try the 4000 mg. of Vitamin C; but I don’t recommend this as the long-term solution. BTW, the RS will help, too, with having been on antibiotics. The RS prebiotics will feed any probiotics you’re taking and help to reestablish the right flora balance in your gut. I love that you cover the gamut! Great post Megan. 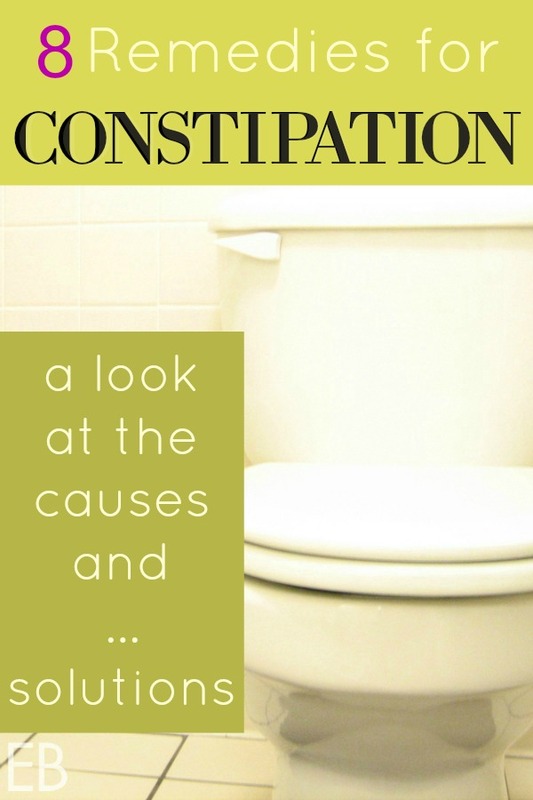 It’s important to know what the cause of constipation is so you know how to prevent it. But if you just have slow motility, I love these ideas for get things moving. My mom swears by burdock tea. But for me, about 4000 mg of Vit C is what makes me regular. When I’m feeling under the weather, I can up the dose to 6000mg and it’s fine. As soon as I start to have loose stool, I cut back. It’s what makes me constipation free! So many good tips here! Thanks for sharing – great post! Thanks for sharing your ideas.I I use many of these in my practice, in addition to herbs. Magnesium in this way is not new for me.. but I’ve not sourced it locally and want to . So thanks for the reminder!! Thank you so much for this post, and I love your blog! 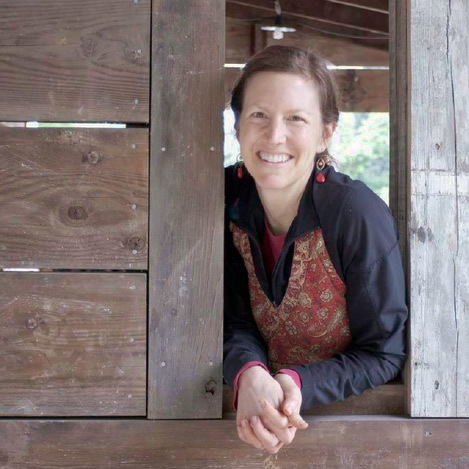 It has been encouraging to me, as a busy mom of three, trying to regain health (hypothyroidism, adrenal fatigue, slow motility, SIBO, possible food intolerances). I have spent the last year treating SIBO (mostly with herbal antibiotics and diet) and will be retested in a few days, hoping for good results, but still uncertain of the root cause of C. I am wondering about using gelatin and prebiotics (RS) post treatment, since I need to start repopulating with probiotics first, correct? I am excited to start trying some Vit C and the trace minerals! I am also curious if the food intolerance testing will be accurate on such a limited diet such as low FODMAP? Thanks again for sharing! Hi again! Thanks for your response. Quick question: when did you take the Vit C and D/K supplements, and Prescript Assist? With food/meals or at bedtime? You can take them all with breakfast, (as long as you’re not taking any pathogen killing herbs at the same time). A second dose of probiotics can be taken, optionally, depending on your budget, before bed. Hello! I thought of another question…is it beneficial or harmful to take different probiotics either at the same time or after finishing a month or so on one? For example, I tolerated LactoPrime Plus post SIBO meds, and am finishing up those currently, but am considering switching to Prescript Assist. Is there a certain time frame to follow with probiotic usage? Thanks again! Different strains of probiotics are excellent! As long as you can tolerate a certain strain without bloating, it’s a good one to proceed with. Variety is good. Megan, thanks for this post! A question for you regarding adding probiotics to the enema water… right now I’m on a SIBO protocol by a Dr. Kharrazian-trained doctor that includes regular coffee enemas. Before doing the coffee enema though, I like to clear the bowels as Dr. NCM recommends, so I first do 2 water enemas. I like your idea of adding probiotics to the enema water, but I’m wondering about which probiotic to use and how much. I’m on Kharrazian’s specialty-made probiotic which is just 3 strains studied specifically for use with SIBO patients, and it’s very expensive. Do I need to stick with that in the enema water? Or, since it’s not having to work its way through my small intestine first (where the SIBO resides), can I put in a different probiotic strain? Thanks for whatever insight you can provide! Hi Allie, that’s right, what you said: the enema water won’t exacerbate SIBO. This is a good product for use in enema water: http://amzn.to/1QVw7KX It’s a huge container and will last a looong time. 🙂 1/2 a teaspoon mixed with a smaller portion of water first and then mixed into the full amount works well. Thank you Megan for your suggestions and link. I bought the product you mentioned and have been using it now for a couple weeks in my enema water. After researching it, I actually have been doing a “transplant” with it, meaning I’ve been adding minimal water to the probiotic powder (plus a smidgen of baking soda to balance the pH), using my enema equipment to get it in, then leaving it in permanently, i.e. not going to the toilet to expel it after a set amount of time. This has been working great for me! A question I have now is, do you know if there is any drawback to increasing the amount of the probiotic powder? I seem to be doing fine with the 1/2 tsp you suggested, and am wondering if there would be any risk in titrating up the amount until I’m at, say, a full tablespoon. What are your thoughts? Even though this post was about constipation, I actually am not doing the enemas or adding the probiotic to my enemas for constipation purposes… the coffee enemas (for me) are for stimulating my vagus nerve (which can help with SIBO as the vagus nerve controls gut motility to some extent, as well as the ileocecal valve), and adding the probiotic to my enema water is for the purpose of simply repopulating my gut/colon with more beneficial bacteria since I know from an organic acids test that I have an imbalance. So that’s why I was thinking “the more the merrier” as far as increasing the probiotic in my enema water. Thanks for your feedback Megan! I have read some of Dr. Kharrazian’s work and am familiar with his approach via the vagus nerve. Blessings in your process!